Amatrol’s ControlLogix Process Control Learning System (89-PC-AB5500) is used in combination with the T5552, 890-PEC-B, and 89-AS-AB5500 to teach about PLC-based process control in various applications. 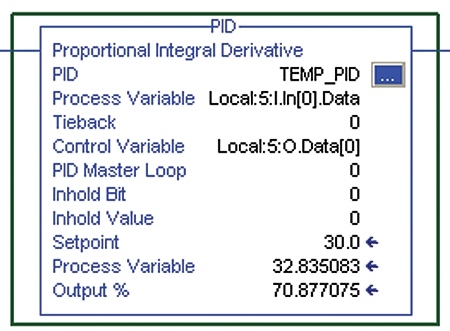 Major topic areas include discrete and analog control of an open process control loop; the control, tuning, and performance of a closed process control loop; and PID control of level and temperature. The skills and topics with this course are important to anyone currently working in or interested in the field of PLC automation or process control. The 89-PC-AB5500 includes an analog cable set, discrete cable set, curriculum, assessment guide, and install guide.